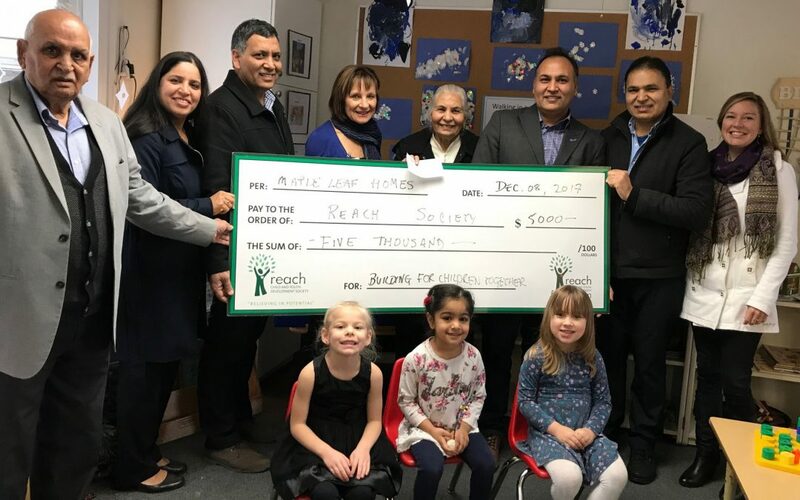 Hari and Satish Sharma and their family visited Reach Child and Youth Development Society Preschool in North Delta with a $5000 donation today. “Maple Leaf Homes and the Sharma Family love to support the communities we develop in. Helping local societies like Reach is a wonderful opportunity to give back”, stated Satish Sharma.